This was painted in the utility room of a private residence on a wall that connected the kitchen to the lounge. 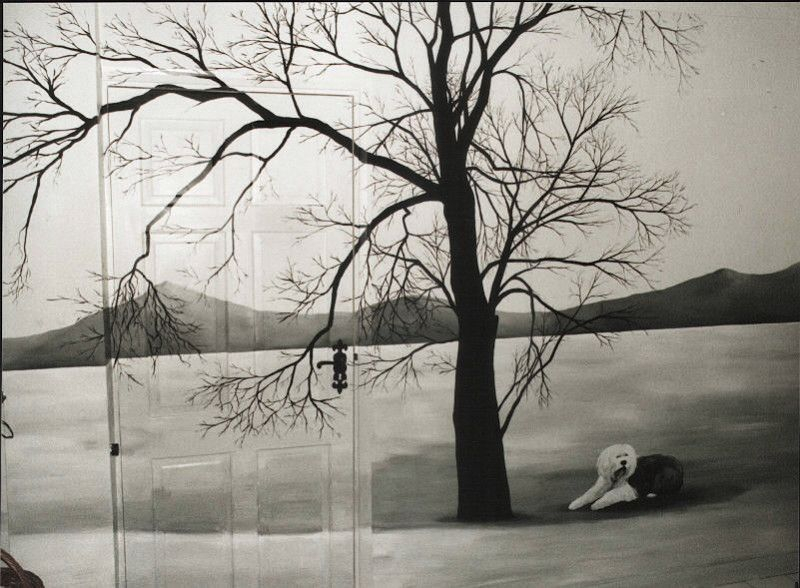 The whole painting is black and white and features the family dog. The disguised door was varnished for extra durability. It took 4 days to complete.